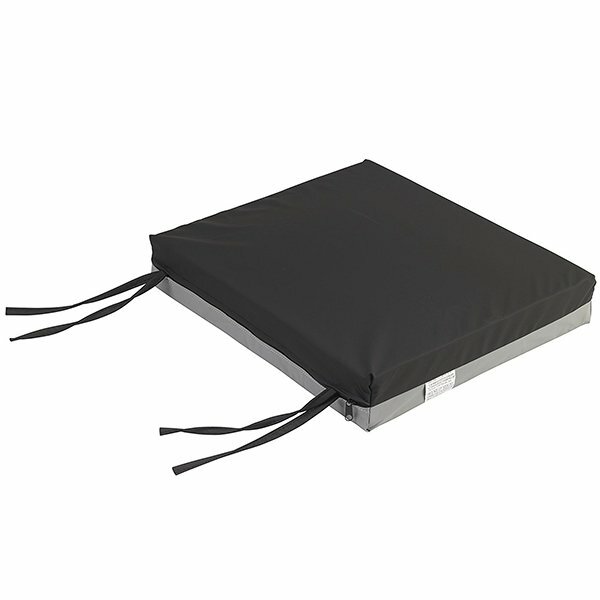 Gel U Seat cushions are specifically designed to redistribute pressure to assist in the prevention of pressure ulcers while providing patient comfort. Gel U Seat cushions are specifically designed to redistribute pressure to assist in the prevention of pressure ulcers while providing patient comfort. The Gel-U-Seat Lite cushion from Drive and Mason Medical features high-density foam encapsulating a dual-chamber gel bladder. The fluid-resistant, low-shear stretch nylon cover includes tie straps to secure to wheelchair.